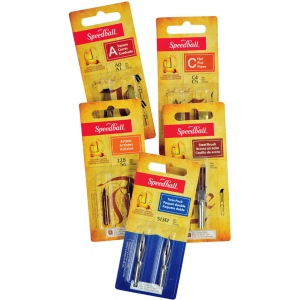 Hand-crafted stainless steel nibs can be inserted into Speedball pen holders. * When lettering Italic Roman Blackletter etc. 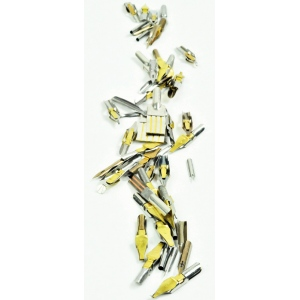 select a broad-edged tool like the C-Series Speedball nibs. * When lettering pointed pen hands such as Copperplate use a flexible pointed nib such as the Speedball 99 or 103. * For monoline lettering select a Speedball B-series nib. * Broad edge pen points 2-nib set.